- Size (Dia): M4 Up To M16 / 8-32 Up To 3/8". - Finished(Coating): Self Colour, Zinc Plated, Yellow Zinc Plated, Hot Dip Galvanized, Ptfe Coating. Catering to the diverse requirements of our end clients of Brass part used in automobiles internal part. Those are made by high grade of material. These are according to the specification of client. Client can direct contact us for more detail. Tradewell Ferromet Pvt Ltd can provide Cold Forged & Hot Forged Rivet Nuts / Non Standard Special Rivet Nuts with complete material compliance. 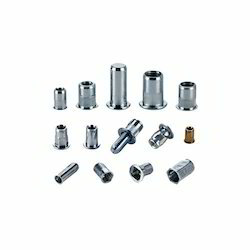 By keeping track with the latest market developments, we are involved in offering a wide range of Rivet Insert. 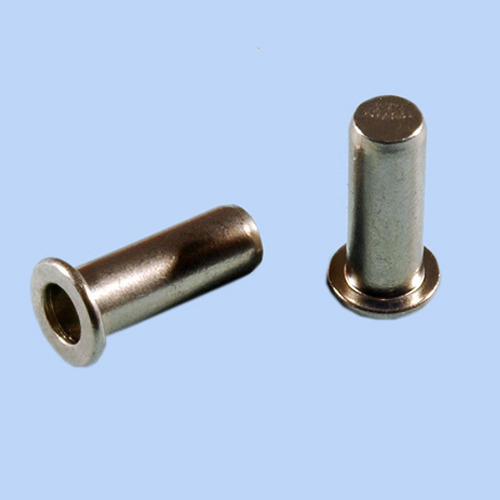 ISO 9001:2008 & AS 9100 Rev B certified manufacturer of standard & custom Rivet Nut inserts. Ever since the inception of our firm into this market arena, we have been engaged in offering an efficient and classified series of Blind Rivet Nut Full hex Big Flanges. - Size Range: Automobile Ind. 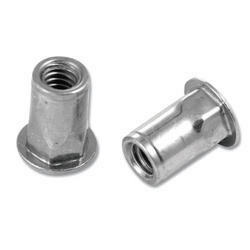 We are proud to introduce ourselves as one of the leader in offering all types of Rivet Nuts.These are manufactured using the finest grade metals procured from the most trusted vendors in the market. Our range is strictly in compliance with the prevailing industry standards and can also be availed in customized specifications as per the client’s requirement. We put forth for our clients an elaborate range of Rivet Nut, which is manufactured from finest quality raw material with the use of latest technology. This range is heavily used across several industries and is well appreciated by our clients for its efficiency and superior strength. We also make sure that the specifications detailed by our clients are well incorporated in the products.